We open with a child named Gwen writing a letter to Santa. She has big questions and is a budding physicist to boot. How can Santa get around the entire world so quickly without incinerating the reindeer and sleigh? How big is that sack of presents? How come she hasn’t seen his house or the elves when she zooms in on the North Pole on Google Maps?Finally she gets to her wish for Christmas: a new pink bike. She draws a picture of the Big Man with flames licking up from his back. 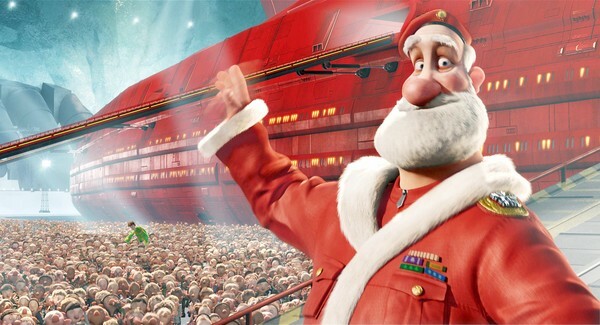 We next zoom in on the North Pole only to discover Santa’s hidden operation center deep under the snow at the Pole. As our filed of view travels down a hallway, we see the rogues gallery of Santas past. We start with Saint Nicholas, and then many others until the current one is displayed with no end date on the small plaque on the frame. 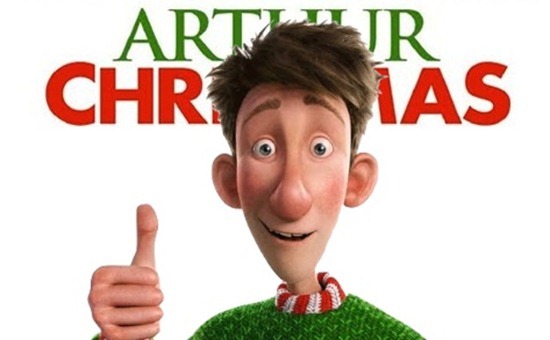 And we meet Arthur Christmas— in charge of letters for Santa. He reads the letter from this young girl with delight and loves the crayon drawing, posting it to his bulletin board. As the camera pulls back, we see stacks and stacks of letters that Arthur has replied to. He finds delight in each one. And then we learn how Santa does it. He has thousands of elves and a hi-tech center run by Steve Christmas—and we learn that Steve and Arthur are both sons of Santa. Steve is the heir apparent, and has the logistics down cold, with an emphasis on cold. It’s all about numbers and getting everything executed with precision. Except they miss one present accidentally (I’ll let you see the particulars of why), and it’s Arthur who wants to return the gift so the young child in question—it turns out to be Gwen—gets the gift she asked for from Santa and isn’t left in the dust.